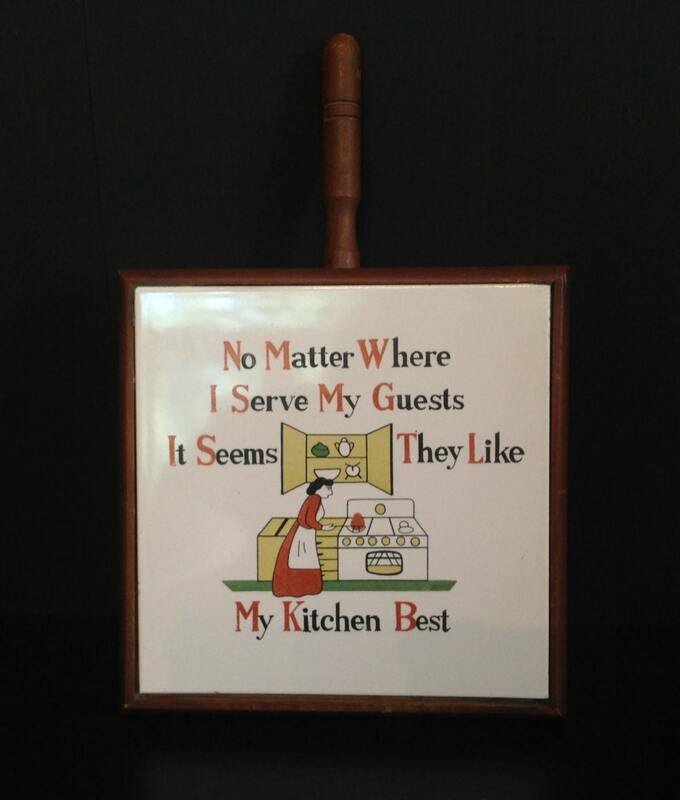 Offered is a vintage decorative kitchen trivet of ceramic and wood. 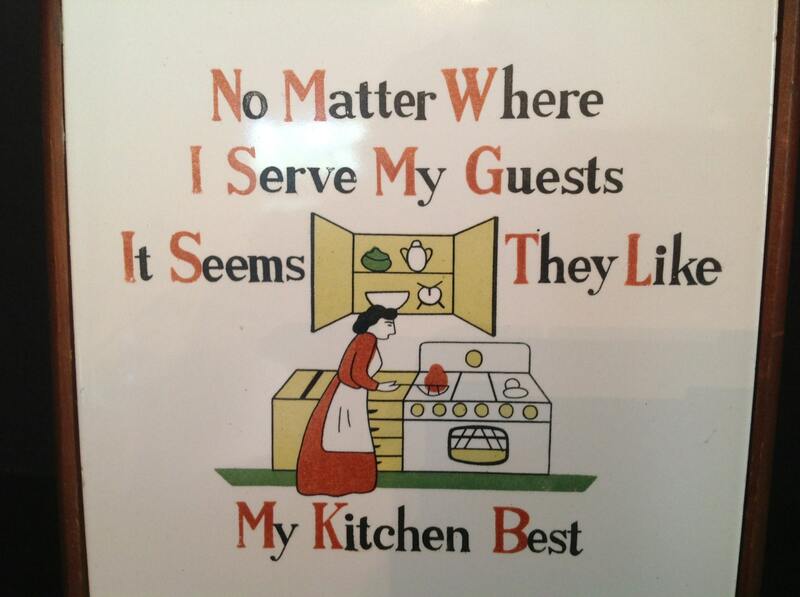 The decal states: "No matter where I serve my guests it seems they like my kitchen best". Refer to photo for graphics. Wood stain is medium. 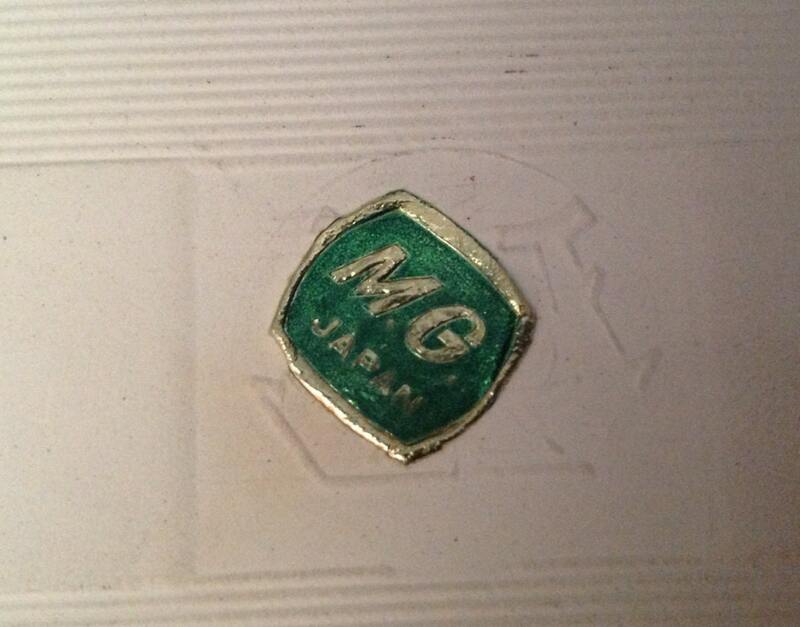 Gold and green sticker on back marked "M.G. JAPAN". Handle has a hole at top to use for hanging on a wall. Some surface wear on wood framing. Has a couple of very very small chips on the edge of the ceramic that you really have to look for. SIZE: 6 1/2" square X 1 " deep plus 3" handle. My shipping estimates are on the high side. I do reimburse shipping overages of $1.00 or more.